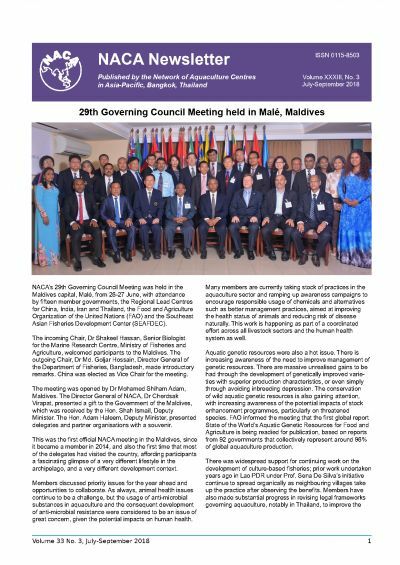 29th Governing Council Meeting held in Malé, Maldives. 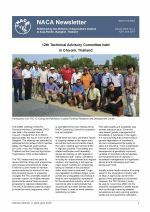 Proceedings of the Emergency Regional Consultation for Prevention and Management of Tilapia Lake Virus in the Asia-Pacific. NACA signs MOU on cooperation with the Bangladesh Shrimp and Fish Foundation. Aquaculture in China: Success Stories and Modern Trends. Quarterly Aquatic Animal Disease Report, October-December 2017.
International Training Course on the Biology and Pathology of Penaeid Shrimp. Apply now: ASEAN-India Research Training Fellowships. Urgent action on risks to aquaculture workers needed, study finds.